Do You Need an Investing Partner? Owning rental property has a proven track record for developing a passive income stream and building wealth over time. Unlike other investments, lending policies have raised the barriers to entry to a new high. The new rules for mortgaging investment homes raised the minimum down payment to 20 percent. Compared to days past before the mortgage crisis, this amount can keep would-be investors out of the rental housing market. Besides the steep down payment requirements, investors can no longer hold more than 10 mortgages at a time. Some lenders are setting their limits at four, which makes it difficult or impossible to leverage additional properties to expand a portfolio. Do You Need A Real Estate Investing Partner? Each of these two scenarios makes working with an investing partnering more attractive. Even with the stringent down payment requirement, lenders are flexible about where down payment money comes from. Gifts, loans, and investments from others are acceptable to underwriters. If you’re searching for an entry into the market, it might make sense to reach out to others who have reached their borrowing limits, or simply wish to be a cash investor without having to assume any responsibility or liability for the property. By using your good credit for a mortgage and their funds for the down payment, both of you can take advantage of a potentially lucrative property. Before you get started, you’ll need a legal arrangement to protect your investments. It’s best to consult with a lawyer who specializes in partnership or corporate law, and of course, your tax professional. Although partnership law is fairly universal across the country, your state may have unique provisions that will affect your position. The simplest approach is to set up a partnership. Which you choose depends on the state in which you live, and how each of you wants to participate and the limits of your liability. A general partnership will work if you and your partner agree to split everything 50/50, including the revenues, assets and liabilities. Although you don’t have to, it’s a good idea to put together a written legal agreement between you and your partner(s) that contains any specific provisions or agreements. If you have no written agreement, you’ll be subject to the laws that govern partnerships in your state. A limited liability partnership relieves you of the liability for other partners. Depending on the state in which you live, you’ll have to register this entity with the state and carry insurance on each partner. The insurance covers the individual partner’s liability and absolves the others. Within the partnership, each person will be personally accountable for their own actions, or those who act as their agents. 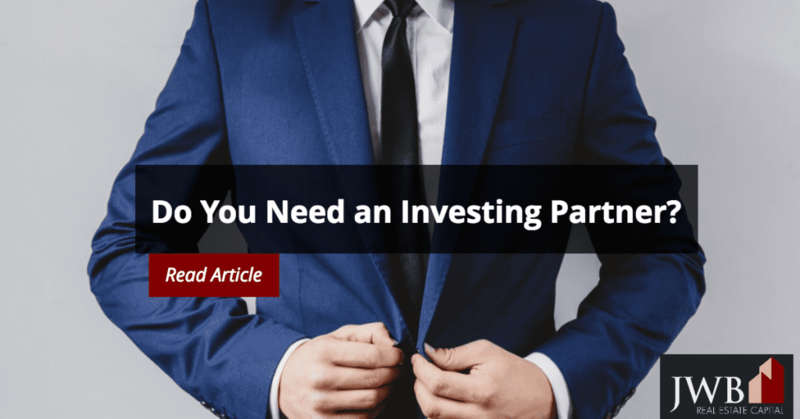 A limited partnership works well in situations where the investor is a passive player and won’t assume any operational responsibilities or decisions, leaving that to the general or managing partner. All liability shifts to the general partner. Such a partnership has to be registered with the state and requires an insurance policy. By combining your strengths with others as a real estate investor, you might be able to increase the financial opportunities this type of asset promises. After choosing the best structure for yours, you and the others involved could increase your earnings through passive income and long-term asset growth. If you’re looking to earn above average returns and passive income from real estate investing, learn more about our turnkey investment properties.